Before I joined N4G in January 2016 I had been working in a Doctors Surgery in St Albans. It was while working there I got to realise how many of our elderly patients struggled with lots of day to day chores and how for some of them, even getting to the surgery by themselves was quite stressful. In my spare time I enjoy spending time, including camping weekends, with some of our 10 grandchildren and we have a very affectionate but extremely excitable Staffy dog who helps to keep us active! I have two teenage boys of whom I am very proud. 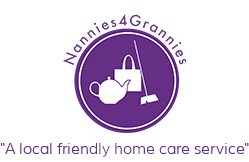 I joined Nannies 4 Grannies in early 2017 as I just love working with elderly people and also youngsters – I am hoping to be a foster carer in the near future. I am a very creative person and love projects where I make and decorate items. Before joining N4G in October 2016, I had worked as a bi-lingual secretary in various different countries, taught French to primary school children and then as a Marketing Coordinator in a private girls’ school. I have 3 grown up children and enjoy cycling, learning the keyboard and holidaying in France where I can practice my French. I initially worked as a Production manger for a London based record Company but around 20 years ago I retrained in Horticulture, working in the gardens of stately homes as well as private residences in the North of England. I joined N4G in early 2016. Following my secretarial training I worked in a variety of secretarial and PA roles over many years before moving on to being Office Manager in a Care Home. I have always enjoyed the company of elderly people – they have so much history and always interesting stories to tell. I joined N4G in the summer of 2017. I joined N4G in January 2017 after 27 years working as a Sales Manager for in international photocopier company. Both my family and social life are hectic which gives me plenty to chat about when visiting our lovely ladies and gents. I enjoy going to the Gym, swimming and going to the theatre and cinema. 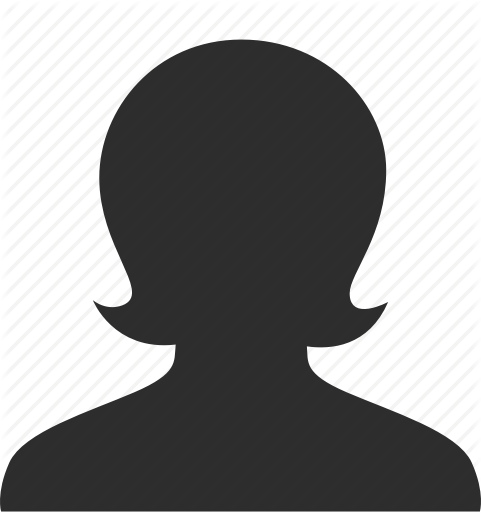 Before joining N4G in 2017, I worked as a Secretary and Executive Assistant in a wide variety of companies including Channel 4 TV and for a Foreign Royal Family. I was a carer for my beloved mum, who had dementia until her death in August 2015. I love cooking – especially baking cakes, gardening, knitting and walking my dog. I joined Nannies 4 Grannies in September 2017. Prior to that I spent a year or so helping my mother cope with a series of falls and before that I worked as a Financial Administrator in a Care Home. I like to keep busy and have many hobbies and interests including photography, reading, knitting, sewing and music. After completing my Biological Sciences Degree I started working for the Anthony Nolan Trust. Originally I worked in the Laboratories, then moved into Administration. Finally becoming the Deputy Operations Manager, before leaving to start my family. I have 3 children. During the time that they were growing up I have worked as a Childminder, Pre-School Teacher, home based Administrator and Recruiter. I’ve been working for N4G since September 2018 and have met so many interesting people. This position fulfils my passion for helping people and I find it incredibly rewarding. For many years I worked in the City of London as PA to the VP of an international oil company. I joined N4G in July 2018 and thoroughly enjoy spending time with our clients and getting to know them. It is a pleasure to be part of their lives and to help them on a daily basis. I attend pilates classes, enjoy gardening, walking, reading, cinema, theatre, belong to a ladies choir and also am a member of the Committee at my son’s school. My husband and I left sunny Cape Town, South Africa to move to the UK 25 years ago. I have worked as a Relationship Counsellor working with adults as well as teenagers which I found very rewarding. I joined N4G in 2018 and love the many rewards of working with the elderly you don’t find elsewhere. They have a wealth of knowledge to share. Time away from work I enjoy playing tennis, cycling and often hiking in the Swiss Alps. I host a regular sewing group and we focus on projects for local charities. 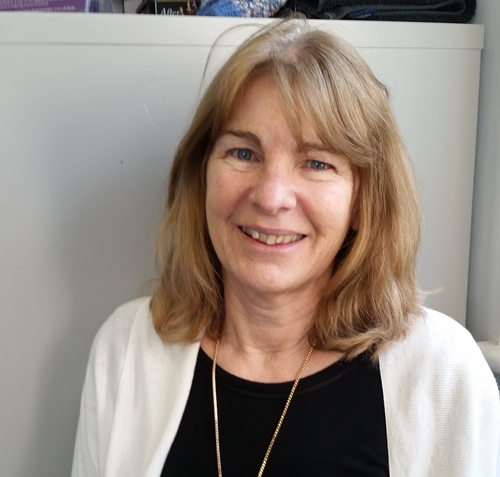 I joined N4G in April 2018 – a late career change for me as I have worked for many years as a PA/Secretary within the pharmaceutical industry. I’ve 2 grown up daughters and have recently become a proud grandmother to Daisie. I enjoy walking my dog, visiting heritage attractions and historic towns and am passionate about birds and wildlife. I love my work and am proud to be part of the N4G team.